MDU Geek: The Bitcoin Boom? What that basically means for users is that it’s cash for the internet that is not subject to the exorbitant fees that you encounter with typical online payment options. With no central authority, Bitcoin users are able to exchange payments online virtually free of charge. It’s an encrypted digital currency that retains its value through the limited number of bitcoins that are made available. The Bitcoin software and protocol is completely open-source. Any developer around the world can obtain the code and make their own version of the software to compete against Bitcoin, with desired modifications or improvements. According to The New York Times, 36 so-called crypto-currencies are currently listed on coinmarketcap.com, a website devoted to tracking the digital currency market. Ripple has emerged as a popular alternative to Bitcoin with strong backing from Google. Ripple operates a currency as well as a unique system on which any currency, including bitcoins, can be moved around or traded. 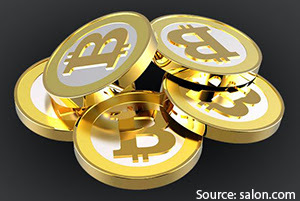 According to Bitcoin’s website (bitcoin.org), as of August 2013, the value of all bitcoins in circulation was more than 1.5 billion US dollars, with millions of dollars in bitcoins exchanged on a daily basis, but a recent article by The New York Times pegs the recent market value at around $4.1 billion. Some notable online services that use Bitcoin include Wordpress and Reddit, and Bitcoin is also keen to point out that many “brick and mortar businesses like restaurants, apartments and law firms” use bitcoins as well. A recent article published on Wired.com reports that the University of Nicosia in Cyprus — an eastern Mediterranean island-country off the southern coast of Turkey – recently announced that students will now be able to pay their tuition with the popular digital currency “bitcoins.” The university’s decision to accept bitcoins is part of an effort to support their new Masters of Science in Digital Currency program. Also, according to Bitcoin Magazine, BYU Idaho recently began accepting student housing payments in the form of bitcoins for select properties. The two properties — the Nauvoo House for Men and the Mountain Pines Apartment for Women — are the first university-approved student housing facilities to accept bitcoins. Bitcoin is still in the early-adopter stage of its innovation. Whether or not the crypto-currency will go mainstream still remains to be seen. Saying that developers need to modify their payment options to accept bitcoins at this point is premature. But, there is a message to take away here, and that message is that technology is not stopping anytime soon. While developers don’t need to be early adopters, they need to know what the early adopters are doing, so that they can be part of the early majority when it comes to providing the latest in technological support and features for their tenants. They need to be aware of the early adopters, so that they’re not blindsided when these things go mainstream.